A KVM series supporting DVI + USB, upto 6 devices. Source toggle can be done by push buttons on the unit or a external switch. 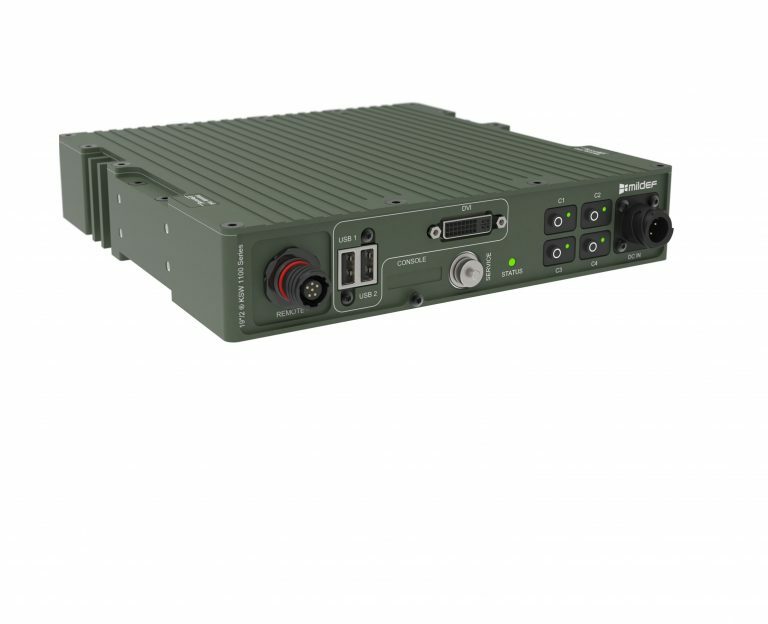 MilDef, global supplier of rugged military electronics.